Read how brilliant storytelling skills helped a Venice Beach T-shirt vendor become television's most successful producer. How did a timid pastor's son overcome a paralyzing fear of public speaking to captivate sold-out crowds at Yankee Stadium, twice, by mastering the art of storytelling. 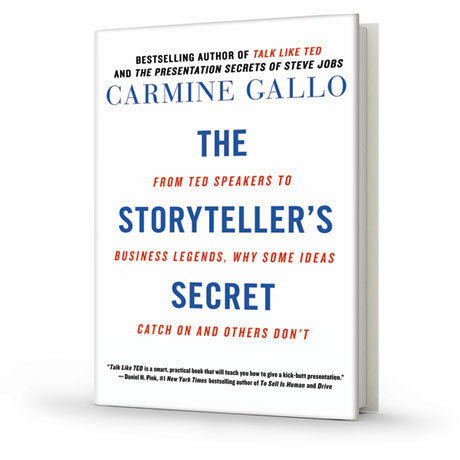 The New York Times has called a well-told story "a strategic tool with irresistible power" - the proof lies in the success of 50 icons, leaders, and legends featured in The Storyteller's Secret: entrepreneurs like Richard Branson, Sara Blakely, Elon Musk, Steve Jobs, and Sheryl Sandberg; spellbinding speakers like Dr. Martin Luther King, Jr., Bryan Stevenson, and Malala Yousafzai; and business leaders behind famous brands such as Starbucks, Southwest Airlines, Wynn Resorts, Whole Foods, and Pixar. 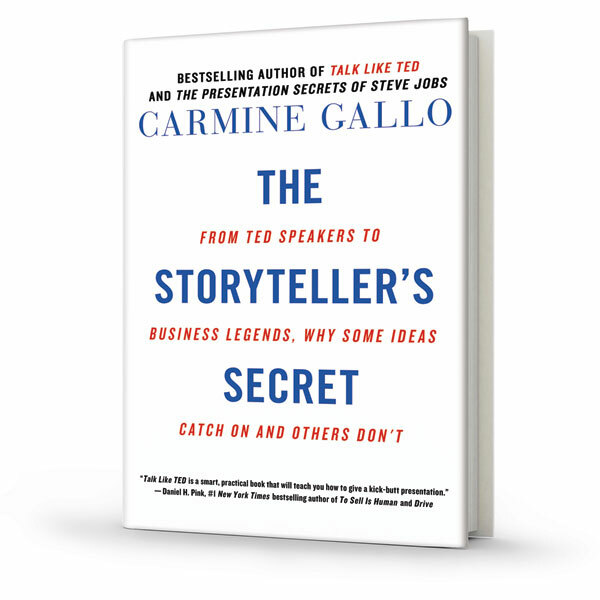 Whether your goal is to educate, fundraise, inspire teams, build an award-winning culture, or to deliver memorable presentations, a story is your most valuable asset and your competitive advantage. Hardcover. 288 pages.